Have you ever daydreamed of dipping your toes in your private pool, overlooking the crystal blue waters of the Carribean while enjoying a cool drink? Your only concern is how you want your dinner prepared by your cook or if you want to eat the local Jamaican cuisine at an ancient sugar mill site. You faintly hear your housekeeper making the bed with clean sheets. The butler is clinking the ice cubes in a glass as he is preparing you another drink. A cool breeze just lightly touched your hair. Ahhh…Paradise! 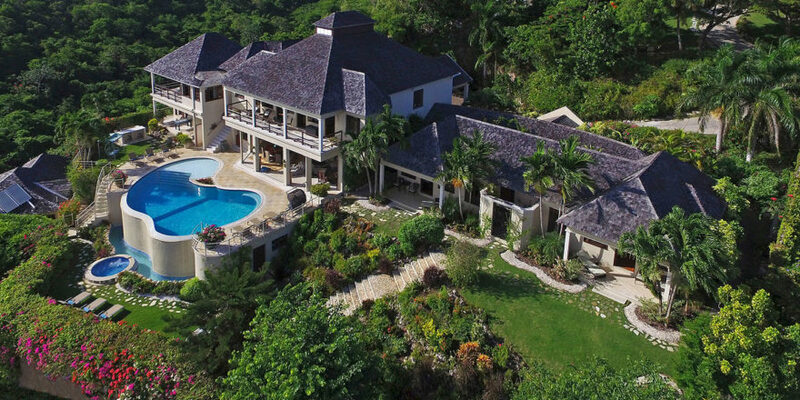 This is not a dream, but a reality for those who choose to stay at a place such as Half Moon Jamaica villas. Attend an award-winning spa on the grounds to relax your mind as well as your body with skilled hands releasing built up tensions. Take a morning or afternoon to test your driving and putting skills on a lush green 18-hole par-72 championship golf course, making perfect Golf Breaks. Can you see yourself on horseback prancing through the waves as you explore the beach? You can choose your day’s activities to suit your mood. If you are in a romantic frame of mind, you can start the day with a breakfast served on your terrace overlooking the ocean or a lush garden. Take a stroll on the beach or a tour of an organic farm serving a lunch made from its produce picked fresh. Later, after a swim, relax with a couple’s massage oceanside. To continue to mood, you can have a private dining experience in a gazebo on the bay, under the palms or on your patio. If you love a more active day, an adventure awaits. Start with your personal workout trainer that will wake you and your body up for what lies in store next. Ready to explore the waters around you? Sounds like it is time for scuba diving. You don’t have to be an expert to discover the beauty that lies beneath those crystal turquoise waters. You may want to spend some time on the tennis courts brushing up your game with professional coaches. With the feeling of flying, parasailing is an option that will give you a birds-eye view of the surroundings. After a vigorous day of adventuring and testing your skills, it is time to hit the saunas or steam room to refresh for drinks and an evening Bar-B-Que on the beach. One day in your dream holiday vacation should be just a relaxing pamper yourself selfie day. Begin your morning with a yoga master and stretches that bring body, mind, and spirit together in a beautiful outdoor setting. Relax under the sun lounging on the white sand beach or floating on the crystal water. Refresh with a body treatment of exotic scrubs and soaking in water containing fresh herbs, leaves, and fruits that your body will savor. End your day with a fine gourmet meal of local cuisine that is healthy as well as delicious. Remember, your day, your way, while staying in paradise.